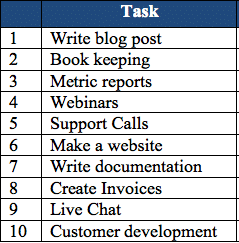 I know, I know - everything I recommend in my blog articles starts off with "write down your tasks." But the fact is, if you don't write them down you'll never have a handle on what you do. And if you don't know what you do, good luck trying to get somebody else to do it for you! Just take 2 minutes and write down 10 things that you're responsible for doing. 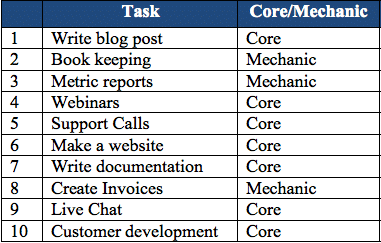 Last week, during a Live Q&A; Session, Pete Williams suggested adding some additional columns to the list of tasks - one of the columns was writing down whether the task is core, or whether it deals with mechanics. I thought it was brilliant, and wanted to share it with you! This is a great way to easily see what you can start handing off to somebody else (mechanics), and what you probably need to spend more time doing (core). A core task is something that only you can do. Maybe it's focusing on writing code. Maybe it's focusing on building partnerships. Whatever it is, this is the thing that you need to be spending the majority of your time doing. Mechanics are the tasks that can be done by somebody besides you. These kinds of tasks might include writing content, creating graphics, creating a web page, doing the bookkeeping, scheduling calls, customer support, creating a slide deck, data entry, etc. These are things that you should spend little to no time doing. At first, you might be tempted to say that everything on your list is a core activity, and only you can do it. That's fine, but I'm willing to bet that you can break down those tasks into mini-tasks that are made up of core components and mechanics. For example, let's take hosting a webinar - certainly a task that you might consider to be something that only you can do. But let's break it down into smaller, bite-size chunks (task #4). The only core thing about a webinar is the content of the webinar (and you actually doing the webinar)! Just about everything else could be done by another person. Being able to take apart a process and break it down so that you only focus on the core is crucial if you want to successfully grow your business - otherwise, you'll spend all of your time doing mechanics. And that's a waste of your time. 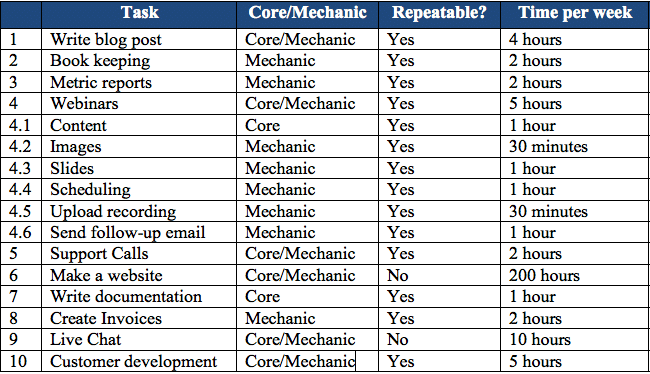 In the images above, it looks like I have a lot of core tasks - but in reality, I could go through each one and identify core elements and mechanic elements. For example, making a website is not core. I might think it's core because I want it to be my message throughout, but making a website is a lot more than just writing copy. 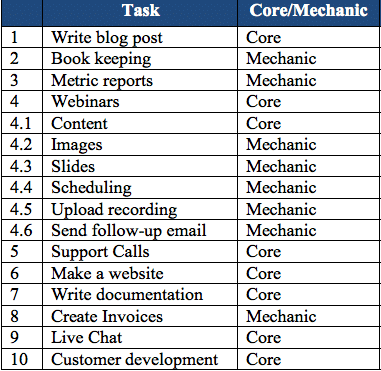 So what I would do is similar to what I did with the webinar - identify mini-tasks and determine what is core and what is mechanic. Writing copy might be core, but designing the content management system, making the graphics, coming up with the site structure, etc. are all mechanics that somebody else could do - I can have input, but I don't need to be the one doing all the work. The same could be said for support calls, live chats, writing blog posts, etc. Each of those jobs have core elements, and mechanic elements. If I want to successfully grow my business, then I need to really refine my processes so that I only do the core and I outsource/out-task all the mechanics. Step 3 - Which tasks are repeatable? After discussing core versus mechanics during the Q&A; session, Pete explained the need to identify tasks that are one-off chores, and tasks that are repeatable (i.e. tasks that occur everyday, every week, or every month). If the tasks are repeatable, then that means you could outsource it. If it's a one-off task, then you'll just want to out-task it. For mechanic tasks that are repeatable, you will want to eventually start outsourcing them to another team member. You don't want to spend your time always doing tasks that aren't related to your core activities. If you don't have a team member to outsource the task to, then you might begin to consider hiring somebody, or getting a virtual assistant - this is covered a little bit more in Step 4. If you have a huge task list, but it's full of one-off tasks, then you don't want to hire somebody full-time because after a month or two you'll run out of things for them to do! This is when you'll want to go [oDesk](www.odesk.com) or [Elance](www.elance.com) and find some temporary help for a reasonable price. When the task is over, you can end the contract. 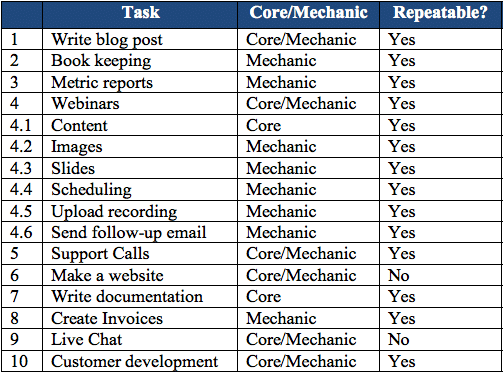 This is a great tip - write down the time requirement for each task. This is when you realize how much of your week is spent doing core tasks versus how much of your week is spent doing non-core tasks. You may also realize that you have about 30 hours a week of repeatable, non-core work that you do - if that's the case, then it might be time to hire somebody new or get a virtual assistant to start helping you full-time. In the steps above, you wrote down tasks, determined core versus mechanic, identified the tasks that were repeatable, and estimated the time you spend each week performing them. You are very close to being able to start delegating tasks to your team, to somebody on oDesk, or to your virtual assistant. But there is one more step to being able to successfully pull this off - have great documentation. We recently hosted a webinar on how to create documentation for delegation, so I won't spend any more time on it here - just know that documentation is essential if you plan on successfully delegating. If your documentation is bad, or non-existent, you'll be spending your days answering questions or re-doing work. Your ideal situation might be to have an office with a team close by so that you can easily collaborate, make assignments, and have fun. But that situation isn't available to everyone for one reason or another. If you have to build a team made up of folks from around the globe, check out our recent webinar on how to build a remote team. 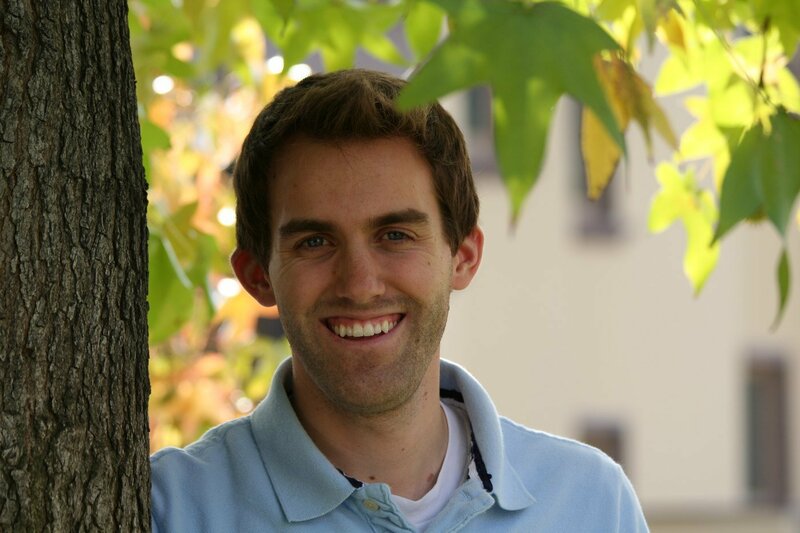 Pete Williams was our guest, and he did a great job going through the "how to" of outsourcing. Plus - you'll also get access to some amazing video lectures and templates that will help you optimize your processes, and get off on the right foot. Let me know in the comments how you organized your business so that you are able to spend more time doing what only you can do, and how you delegated everything else away.